We call this 'Soto Bandung' or 'Sop Lobak' in Indonesian. My grandma used to cook this soup every week or so. My mom used to tell us the following story in order to motivate us to eat it: "One day our family dog got poisoned by bad guys who planned to steal something from our home. Then grandma gave the dog daikon and the next day the dog is all well. " My mom was like "huh?" She didn't think I would still remember that story. Anyway... our family (even my hubby who never tasted this until he married me) loveeee this soup. It's very tasty and healthy. Click here for more info on this veggie. 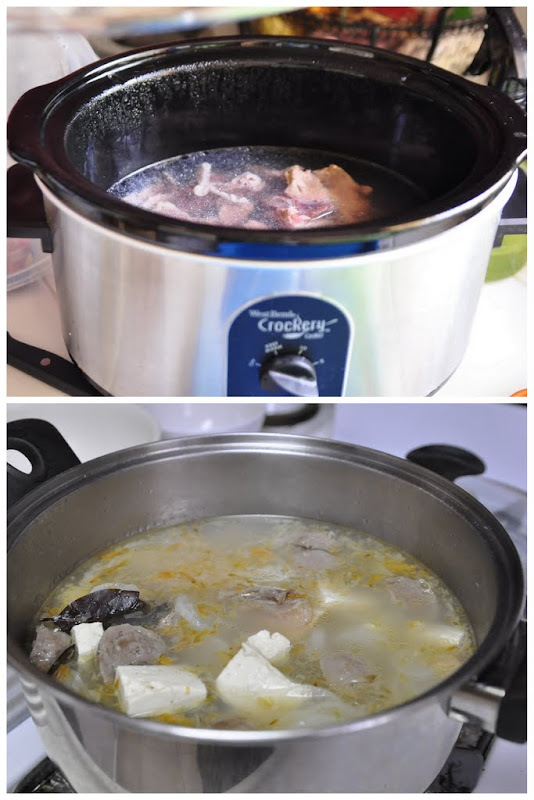 First, make the beef broth by cooking the beef bone and meat in the slow cooker for 4 hours or 30 minutes if using pressure cooker. Add the daikon and the rest of the ingredients then cook again until both the meat and daikon are tender (about 30 minutes). You can add any other ingredients as you wish. I added meatball and tofu sometimes. 1. 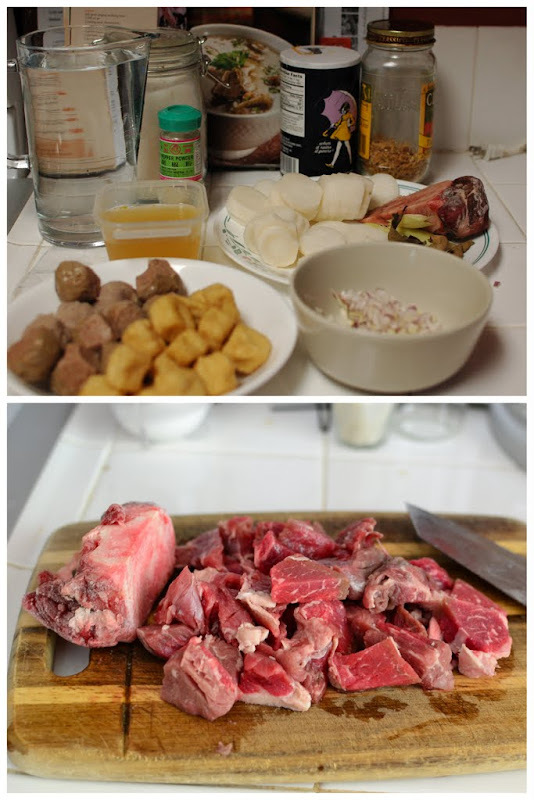 Boil water inside a pot/ slow cooker/ pressure cooker, add the beef bone and beef. 2. Cook until the beef is tender about 3-4 hour if cooking with slow cooker, 1-2 hours if using regular pot, or 30-45 minutes if using the pressure cooker. 3. 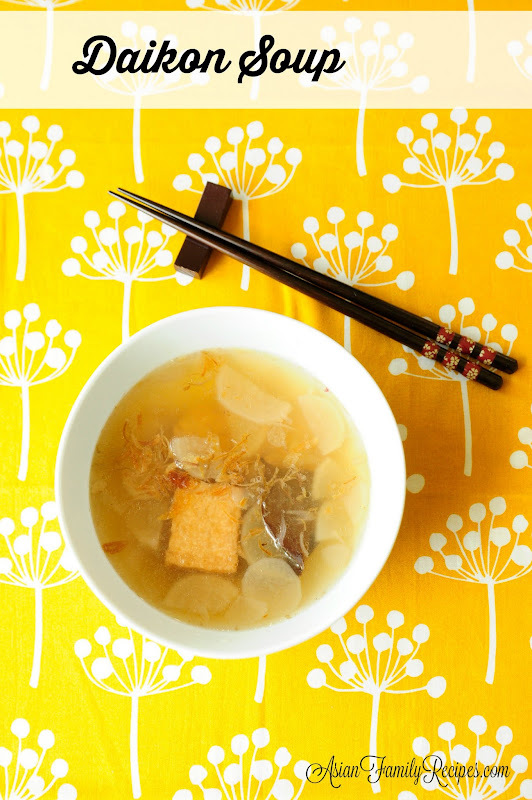 Add the sliced daikon and the rest of the ingredients. 4. 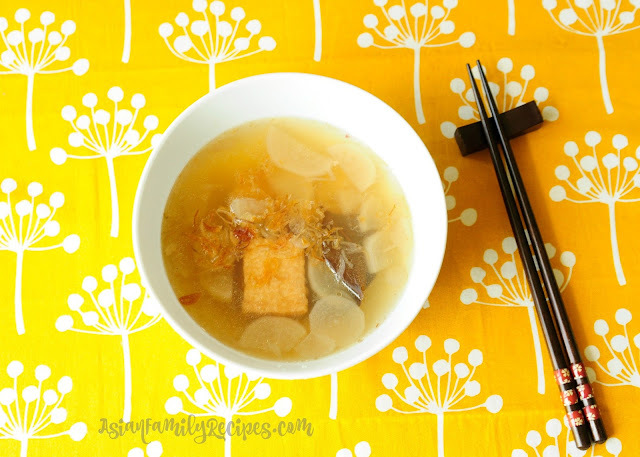 Continue cooking until the daikon is cooked and soft. Looks yummy. Gonna try this one!